← Don’t Give Up Chocolate for Lent! Resolve to Defend Your Church’s Religious Freedom for Lent! Keep in mind, President Obama was the executive director and lead organizer of the Developing Communities Project (DCP) in Chicago, Illinois (Obama is acknowledged by DCP in this link.) DCP was an affiliate of Gamaliel Foundation, an organization that spun off of Saul Alinsky’s, Industrial Areas Foundation (IAF.) The President of the United States is a student of Alinsky’s methods. The Holy Father called out his radicalism (click here.) 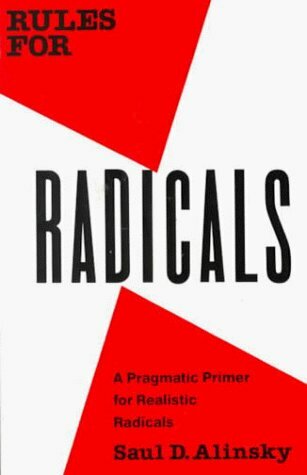 The President is a radical. Pray for President Obama, that he will abandon his radical, atheistic and totalitarian methods. This entry was posted in Uncategorized and tagged barack obama, Catholic Church, Developing Communities Project, gamaliel, HHS accommodation, HHS mandate, Page 94, politics, President Obama, religion, Rules for Radicals, Saul Alinsky. Bookmark the permalink.